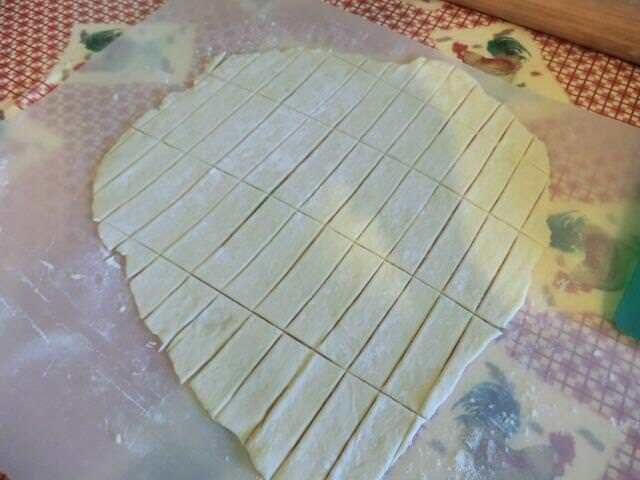 Chicken and Dumplings … with Rolled Noodles (Trial #2) | Cooking is Fun … Really!! I love the way you extend the value from every bird. Thank you. 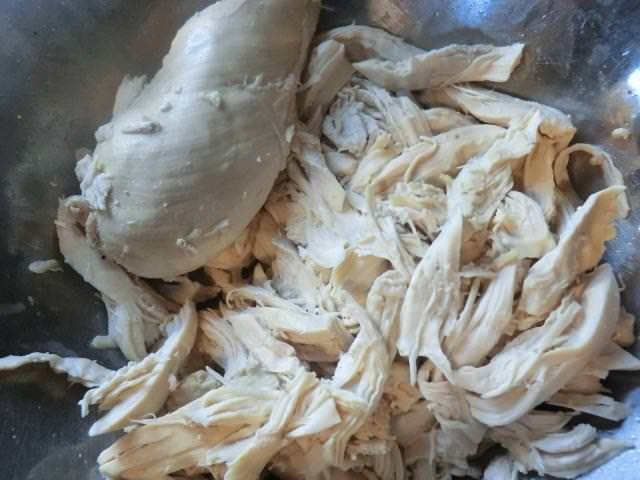 I set aside about 2 cups of the shredded breast meat for chicken salad. 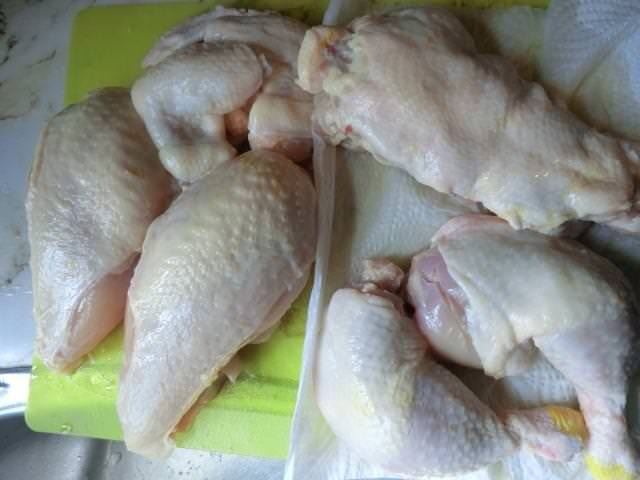 I’m going to roast the chicken legs (and wings) tomorrow and serve them with mashed potatoes and gravy. I know I’m a bit extravagent, but that’s because I’m still working full time. I’m taking note of how you do things for when I don’t have the same income. I’m a big fan of seafood too. Loads of comfort in one pot – lovely! Looking forward to Viennese cookies. Have a great weekend! A very interesting dish with an old-fashioned feel! Though I’ve never had anything similar. 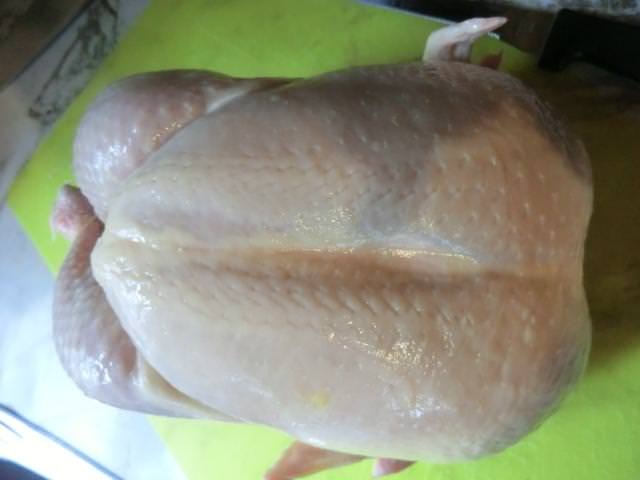 I buy whole chicken very often because it’s so much cheaper and this way I can afford good quality, free-range meat. 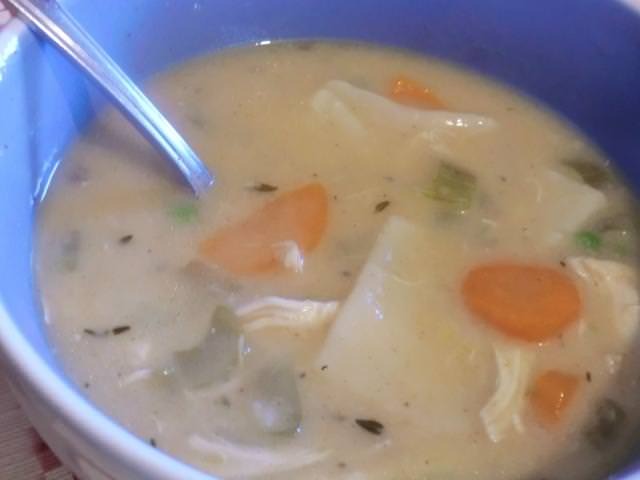 I also make stock-based dishes and soups quite often, so not a single part is lost! Definitely an old fashioned dish. I usually buy frozen birds so that I can have the freedom to plan a cooking binge but in this case, the fresh, never frozen, birds were at a good price, even though I doubt they were either free-range or organic, so I snapped one up. Definitely used every part. 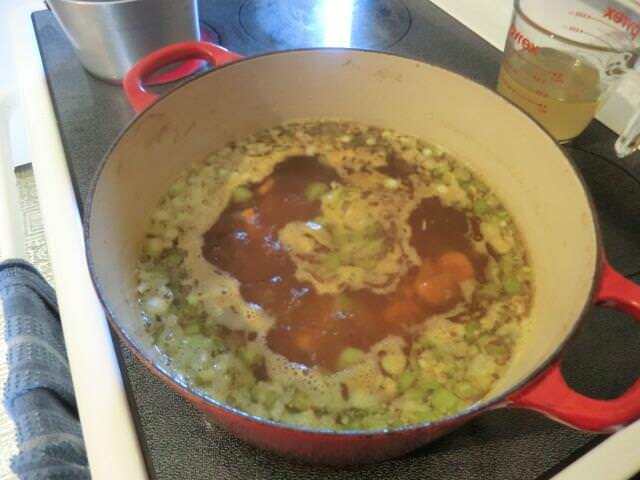 And the extra stock I made by adding a bit more water to the stock pot yesterday was used in making gravy for the mashed potatoes I served today. PS: I trimmed off the chicken fat and wrapped it up neatly and then popped it in the oven. I’ll probably make matzoh balls in the future and the rendered chicken fat gives them a good flavour. 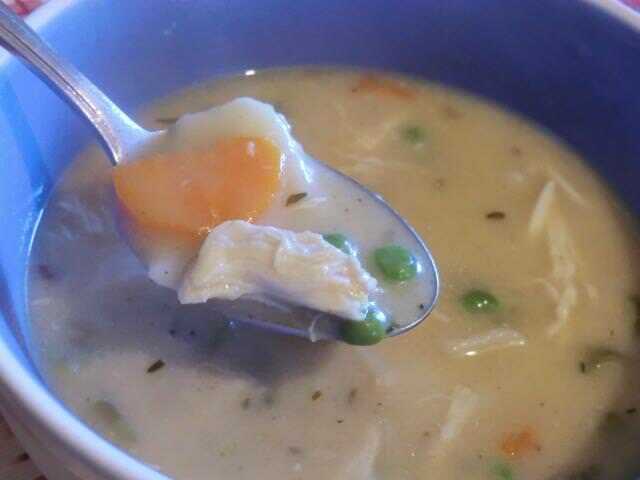 While I don’t care for the biscuit dumplings in soup (too doughy for my taste), I would certainly enjoy a bowl of your chicken and dumplings…it looks wonderful. I would have definitely pulled up a chair for this tasty, hearty, meal — perfect for the weather we have been experiencing. We seem to have gone from summer to winter in a split second, my body hasn’t had time to adjust. That is when a dish like this comes in, it’s perfect to curl up around and watch an old movie of your choice while the wind howls outside. Cooking can be a very comforting process as well. The kitchen was nice and warm with good smells and the result were tasty and filling. Even washing the dishes afterwards felt like I was doing something satisfying.